The Flathead National Forest is planning to conduct spring prescribed fire projects, when weather, fuel conditions, and air quality become favorable. Smoke will be visible from various places in the Flathead Valley depending on the location of the burn units and weather conditions. Huey Timber Sale – This project includes broadcast burning in timber harvest units located within the Blacktail Mountain area west of Lakeside, MT. These treatments will use prescribed fire for fuels reduction, vegetation regeneration, and wildlife habitat improvement. Swan Valley Bottom Maintenance Burning – This project includes maintenance broadcast burning in previously treated timber harvest units located within the Swan Valley. Specific locations include the Lion Creek Drainage and Condon Airstrip area. These treatments will use prescribed fire for fuels reduction, large ungulate winter range improvement, and improvement of forest health. Swan Lake Ranger Station – This project includes underburning the administrative site at the Swan Lake Ranger District office located in Bigfork, MT. These treatments will use prescribed fire for fuels reduction and wildlife habitat improvement. Pile Burning – Hand or Machine piles are located in several locations within the Swan Valley and Bigfork Community and miscellaneous piles around the district as a result of but not limited to: logging, hazardous fuels reduction in the wildland urban interface, hazard tree removal, recreation site management, and trail or road construction. These piles are burned to reduce the fuel loads in these areas. These piles are strategically burned based on their location, access, and weather conditions. Ashley-Herrig – 103 acre reduce timber harvest activity fuel loads, improve forest stand conditions, maintain and improve terrestrial wildlife habitat, and help with site preparation for regeneration of early seral tree species that are more fire resilient. 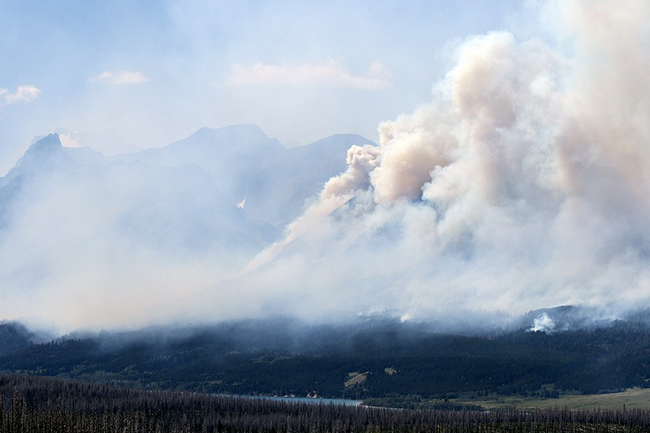 Logan Creek 202 – It is in an effort to help improve the control of wildfires and fuel management using prescribed fire in the Logan Creek project area. The unit is located on the east aspect of Tally Mountain, west of Tally Lake campgrounds being visible from the campgrounds. The ignition area is proximately 290 acres across the slope bellow Tally Mountain. This is near National Forest System Trail 801 and NFST 800. The objective is to use prescribed fire in reducing stand densities and fuel loading and improve tree vigor and overall forest health. The ecological benefits and effects of fire will be utilized for wildlife habitat improvement, and future management efforts of wildfire. Radnor – Radnor units 10 and 18 are 135 acre understory fuels treatment in the wildland urban interface adjacent to Finger Lake approx. 20 miles Northwest of Whitefish, MT near the small community of Radnor. The fuel was hand piled last summer and fall and should be ready to burn this spring assuming the proper weather and fuel moisture parameters exist this spring. Whitefish Municipal – 37 acres understory fuels treatments in the wildland urban interface in Haskill Basin approx. 5 Miles Northeast of Whitefish, MT. The fuel was hand piled last summer and fall and should be ready to burn this spring assuming the proper weather and fuel moisture parameters exist this spring. Big Creek Administration Site—this burn project targets 3 acres of hand piles adjacent to the Big Creek learning center facility north of Columbia Falls. Hungry Horse Ranger Station— this burn project targets hand piles near the town of Hungry Horse along the lower dam road and south of the ranger station. In addition, 5 acres of grass and shrubs on the HH/GV administrative site is targeted for prescribed fire. Coram Pasture Rx—Proposal to burn 20 acres of the Coram pasture administrative site to reduce encroachment of woody vegetation and enhance forage for the livestock. This burn is located between Martin City and Coram. Anna Creek Cabin—Hand piles produced from reducing hazardous fuels around that FS rental cabin. https://www.facebook.com/discovertheflathead and https://twitter.com/FlatheadNF. General forest information can be found online at http://www.fs.usda.gov/flathead.